Consumer confidence remained subdued in March, with shoppers remaining “cagey” about the state of their personal finances and the general economic picture, according to a closely watched survey. The GfK consumer confidence index continued flat from February, staying at -6, having plunged to -12 in July after the Brexit vote. 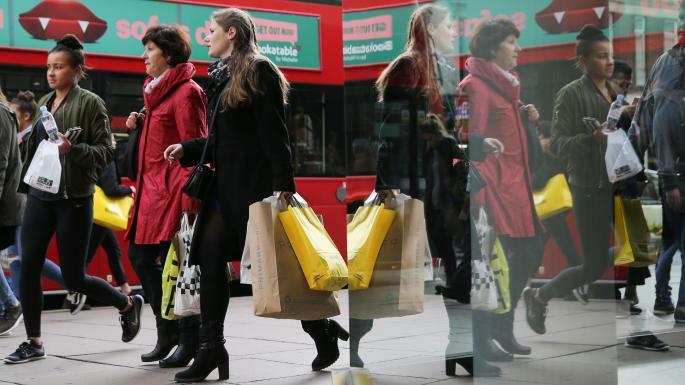 Consumers are more confident about their personal finances, compared with the the wider economic situation, with expectations for the year ahead remaining at a balance of 3 in March. Expectations for the general economic situation, remain at -20. The economy’s resilience since the Brexit vote has largely been built on continued consumer spending. Yet there are worries that shoppers may reduce spending once inflation begins to eat into household incomes. The GfK survey showed households’ inclination to make a big purchase, such as furniture or electrical goods, rose one point in March to a balance of 6. “We are not going to retract and retrench as we did in the last downturn. Most have got a good view about their own personal finances, but people are getting worried about inflation,” Mr Staton said.